Different, seemingly "exotic" cultures are tempting and long-distance travel has never been cheaper. Nearly half of all journeys go to so-called developing and emerging countries, which accounts for the significance of tourism in North-South relations. 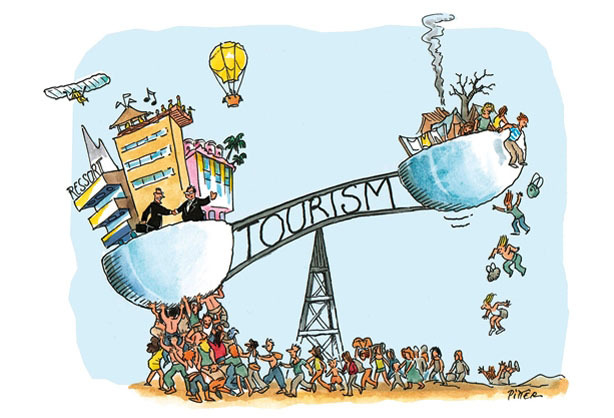 Tourism is considered one of the most important economic sectors worldwide and thereby provides opportunities for the destinations: tourism creates jobs in the hotel and hospitality industries; traditional artisanry is promoted, manufacturing of art and souvenirs as well as trade offer additional sources of income for the local population.